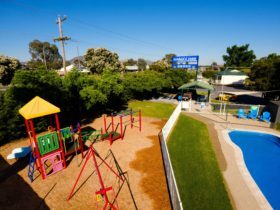 Quest Wodonga Apartment Hotel offers guests a relaxed and comfortable accommodation experience. 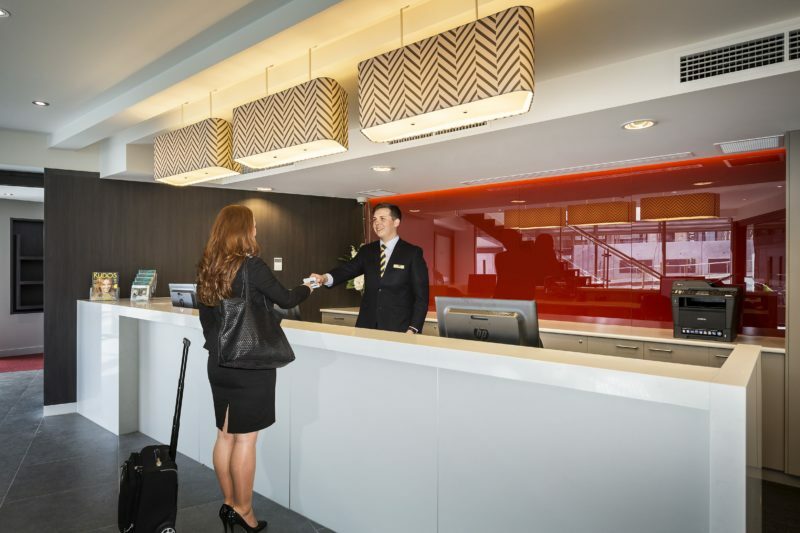 Stylishly designed to accommodating the carefree traveller, Quest Wodonga is a great alternative to your traditional hotel room. With studio, one, two and three bedroom apartments & now including a One Bedroom Executive Apartment complete with smart television, mini-bar and coffee machine offering comfort and style with all the mod cons. Offering spacious well equipped accommodation with all one, two and three bedroom apartments including a private balcony. For the traveller who needs to stay in touch, all accommodation includes complimentary Wi-Fi and multi unit charging and iPod docking stations. 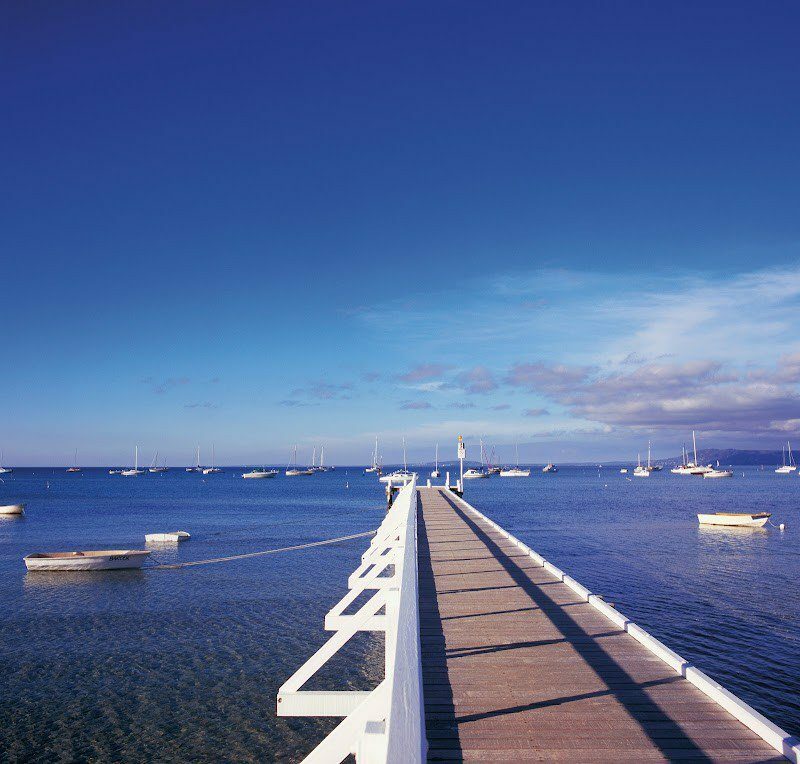 The on site gymnasium, outdoor swimming pool and barbecue area allow you to relax in your down time, or alternatively be treated to an unforgettable food and drink experience at the on- site restaurant, Huon Hill. The business lounge and conference space is ideal for your next meeting with a range of catering options available. 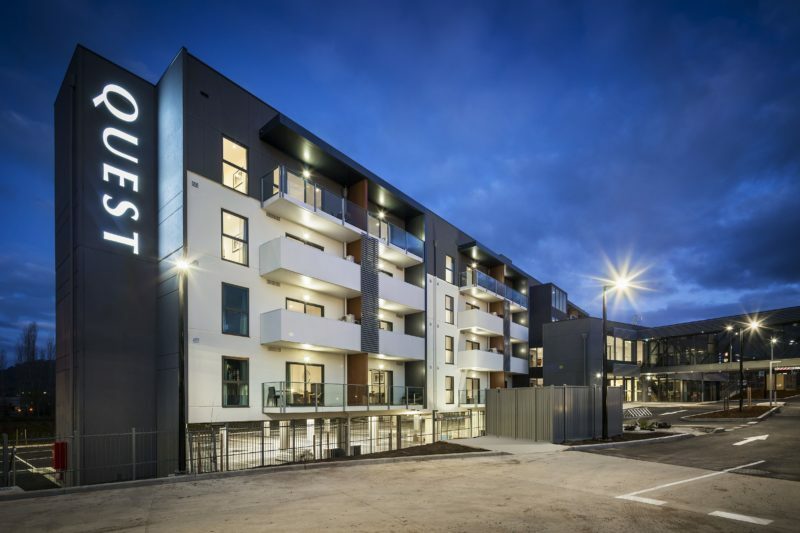 Located in the heart of Wodonga’s CBD with easy access on and off the freeway, convenient if you are coming from Sydney or Melbourne, ideal whether travelling for a night, week or longer. Quest Wodonga looks forward to your visit very soon. Three bedroom apartments offer two bathrooms access to a balcony and all the space to accommodate six guests in comfort and style. The apartments features high speed wireless broadband, reverse cycle air conditioning, LED flat screen television and in room safe to a name a few. 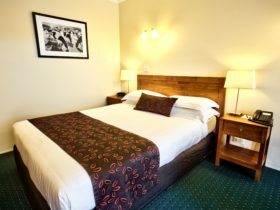 With complimentary Wi-Fi internet and car parking, plus access to the outdoor pool and barbecue area. An ideal alternative to a traditional hotel room, these stylish brand new studio apartments are spacious and offer kitchenettes, in-room safe, LCD flat screen television, work desk with access to high speed broadband and reverse cycle air conditioning. 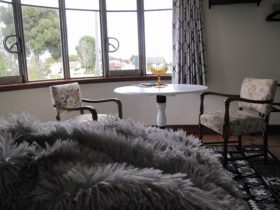 The apartment accommodates up to two guests in a king bed or two single beds. An ideal alternative to a traditional hotel room, thesee stylish brand new one bedroom apartments are spacious and offer kitchenettes, in room safe, LCD flat screen television, work desk with access to high speed Broadband and reverse cycle air conditioning. All of your home comforts are catered for with these two bedroom apartments. Features include full kitchen and laundry facilities, bathroom with complimentary Quest toiletries, separate lounge area with reverse cycle air conditioning and heating, in room safe, iron and ironing board. With complimentary Wi-Fi internet and car parking, plus access to complimentary outdoor pool and barbecue area. 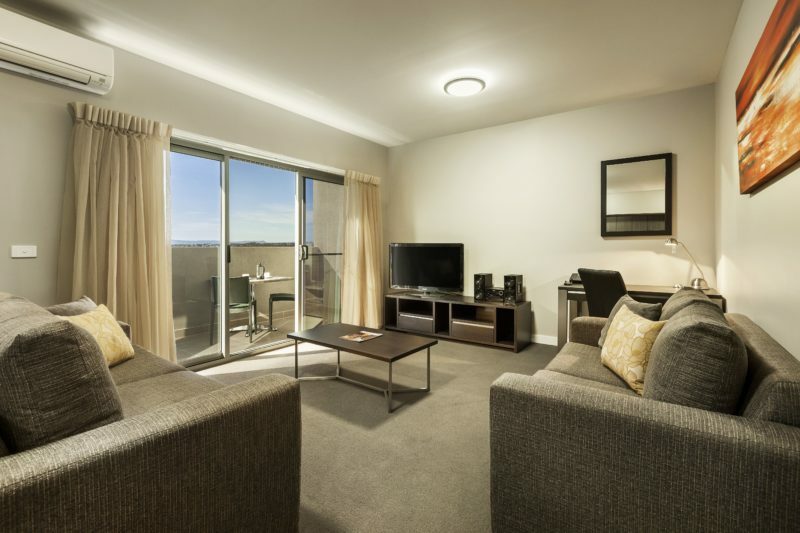 Select from a stylish studio suite to a three bedroom family apartment.